The Alice 1+2+ Bench Dining Kit is quite the right fit for a cozy family dine in. The dining set looks classy- a perfect fit for your off beat decor preferences, while giving away an elegant and poise appearance. The blend of two chairs and a bench enables your decor style stand out from the usual. Use the bench for casual snacking or for a Sunday morning brunch, its’s to serve family time just right. Embellish the table with some fresh flowers & bunch of scented candles to produce the most flawless and desirable dining corner. 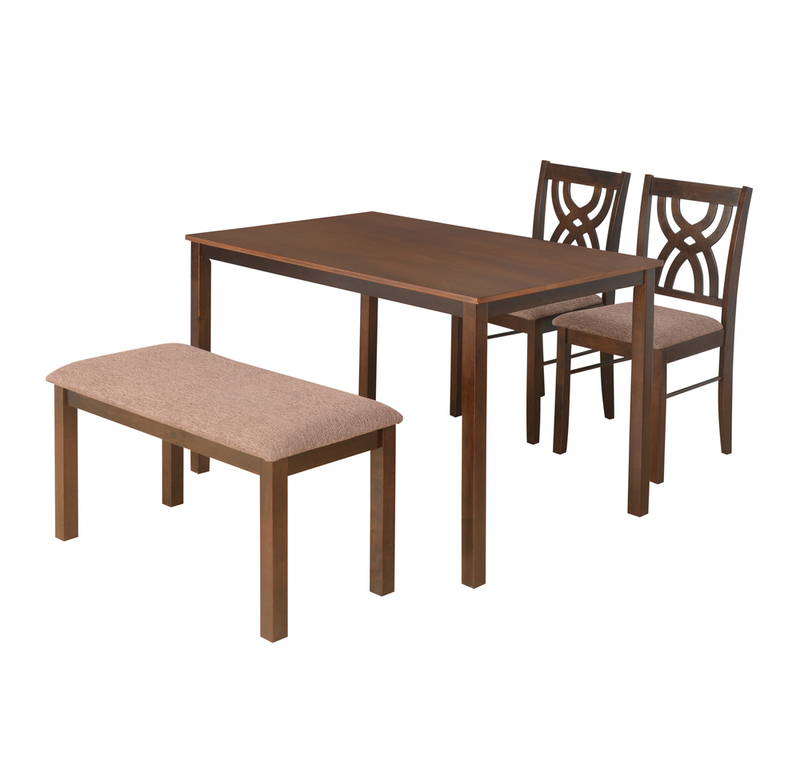 Contemporary design Dining Set in Solid Wood that provides durability.Bench can be arranged underneath the table that makes it ideal space.